My friend Ellie is an inspiration. Her ever positive spirit has given her the strength to fight a life threatening illness. Not once. Not twice. Most people don't have to deal with Ellie's hardships even once in a lifetime. And yet Ellie feels she is so lucky. Lucky to have a body that has fought and won during impossible odds. Lucky to have friends and family who support her. Lucky to be alive. Ellie enjoys life to the fullest despite hardships no one should have to bear. She loves to travel. She loves to read. She loves good linens, the perfect cup of coffee, and a shower head with great water pressure. She loves music, movies, and a great pair of boots. Everyday things give her joy, every day. I have found a couple of great nuggets that will inspire you to look at life the way Ellie does. If you have never heard of the TED Conferences, you are in for a treat. Prepare to be awed and inspired. The TED Conferences bring together the world's most fascinating thinkers and doers who are challenged to give the talk of their lives in 18 minutes or less. At TED.com, you are able to access over 900 of the best talks and performances from TED dating back to 1984. Just think, at the click of a mouse, you have access to the most inspiring, fascinating, "jaw-dropping" presentations from experts of all disciplines. There are so many choices on TED.com that at first it can seem overwhelming. But you can select talks based on a number of categories: persuasive, courageous, ingenious, facinating, inspiring, beautiful, funny, informative. You also can see which talks are the most viewed and emailed this week. I have the TED app on my iPhone. I enjoyed many of the talks recently during a boring 3 hour flight. One of the talks particularly inspired me. It's such a great nugget. The talk is called, "The 3 A's of Awesome." It's a funny, heartfelt talk about the secrets to leading a life that is truly awesome. It will make you smile. To watch the video, click here. The presenter, Neil Pasricha, is not a famous writer. But his blog, "1000 Awesome Things," has over 40 million hits. Every week Neil writes about the everyday things that make life awesome. 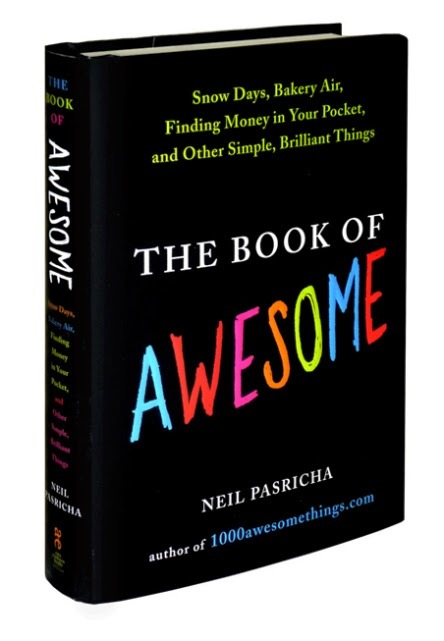 The popularity of the blog led to a book called "The Book of Awesome." It is a New York Times Bestseller. There is also a free app for your smartphone. For more information, click here. There are nuggets right in front of us that we overlook every day. Hopefully, these nuggets, and Ellie, will inspire you to see the awesome in the mundane. Annie's Nuggets is dedicated to my friend Ellie, my biggest fan. Beautiful story and great tip. 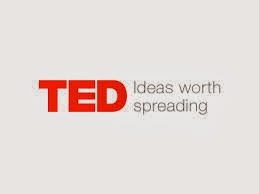 Can't wait to check out Ted.com. Thanks Annie! That was so great Annie - I loved him and of course I love Ellie. Thanks for sharing. Ellie lost her battle to fight the many hardships she endured. She passed away on May 12, 2012.